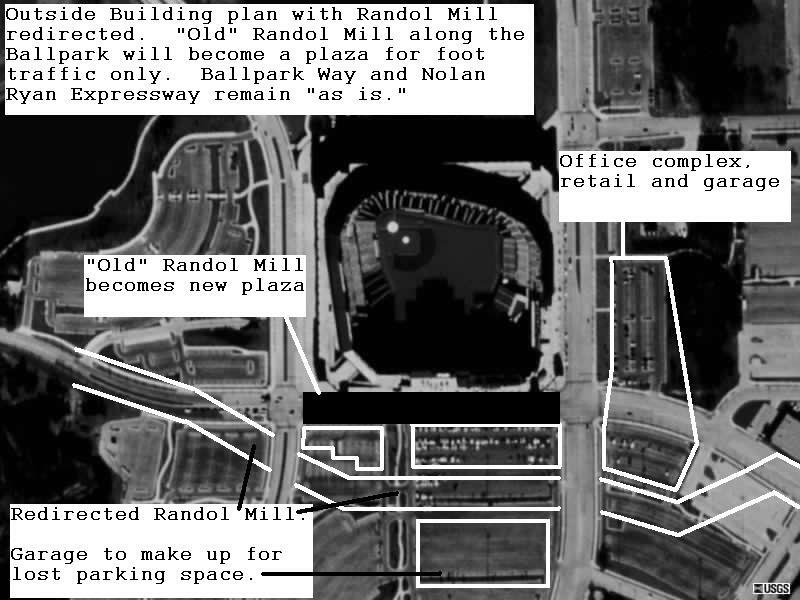 Build an office building (or 2 or 3), about 10-20 stories high, behind the current office complex at The Ballpark. Of course, at the base of the new building, bring in retailers and restaurants to occupy the street-level space. If necessary, build another neighboring building used primarily as a residential complex, complete with apartments, condos, and corporate-stay suites...again, with retail shops and restaurants on the street level. A parking garage is also probably necessary. Build the garage behind one of the new buildings - preferably behind the residential complex, making it easy for residents to get in and out of their units. The first stage is the bulk of the project. This is where most of the investment is going to be needed...and the idea of vast change and improvements are going to be greatly evaluated by a critical public eye. In order for this to work, the first stage must be completed almost without a hitch. To cut back on costs, delay the building of the residential units. But it is vital that the office building be completed first. The second phase explains why. These photos of The Ballpark were taken from space! 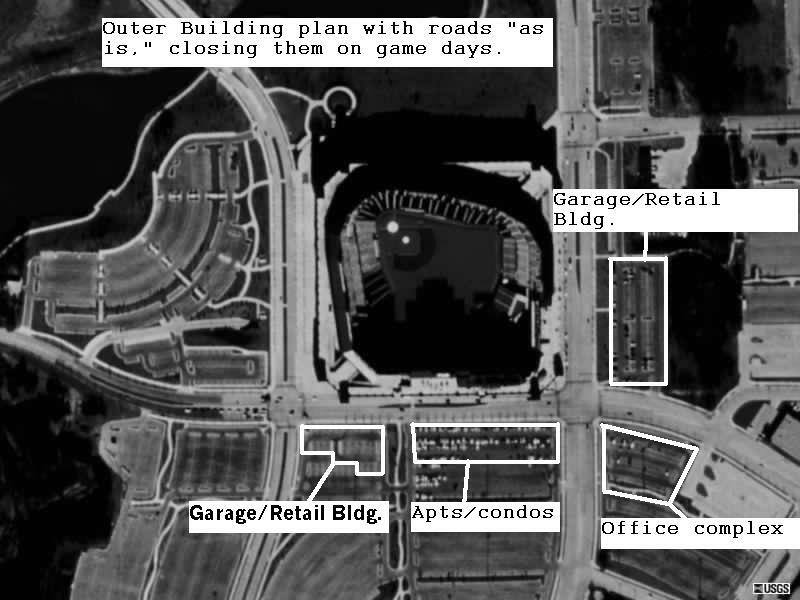 They give an incredibly accurate view of The Ballpark's surrounding property. Edited on each photo are examples of where new buildings could be built. I've blown up the pictures so you can read the descriptions of each photo. Neither of these photos are official in ANY form. They are just examples to help show what the development could look like.